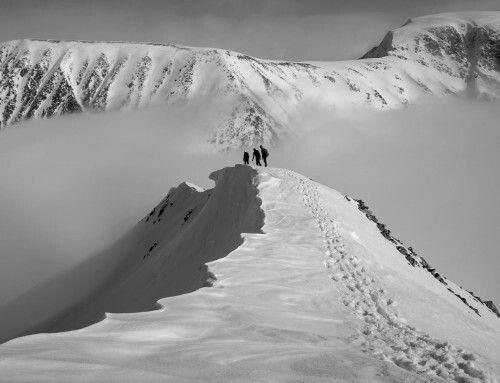 This course is suitable for walkers, climbers, mountaineers and off piste skiers and snowboarders who would like to develop their awareness of avalanche avoidance. 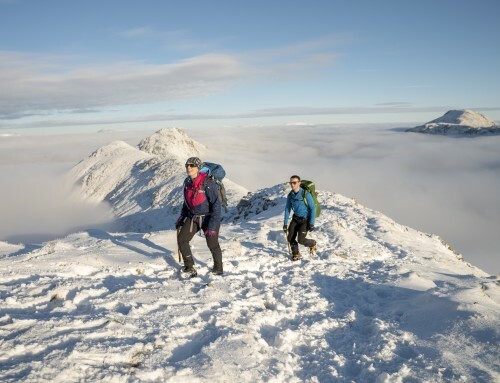 It also builds on the knowledge gained through the Winter Mountain Leader scheme and so is also ideal for anyone preparing for their Winter ML or MIC assessment. Our avalanche avoidance course is two full days. We spend the course looking at practical tips to avoid being avalanched. The course will include both theory and practical application on the mountain and is structured to give you a greater understanding of what an avalanche is, where they are most likely to occur and how to avoid them. The course is based on the Be Avalanche Aware guidance issued by SAIS and this is a great place to do some reading in advance. We run the course in the Highlands of Scotland from our winter base in Fort William. We are very handy for Ben Nevis, Aonach Mor and Glen Coe and will often make the most of the ski centre chairlifts to maximise the time spent on the snow. When winter conditions allow we may also run this course in Snowdonia and dates are emailed on a last minute basis to those people registered on our mailing list. I hold the MIC (the highest instructional qualification in the UK) and the International Mountain Leader Awards. Not sure what this means – follow this link. I have worked the Scottish winter season every year since 2005. I have also completed the American Avalanche Association Level 2 course and I am an Alpine Ski Leader. I was a Search Dog handler for 6 years and am a team co-ordinator for Llanberis Mountain Rescue Team. I run all of the avalanche education courses myself. Accommodation is not provided as this allows us to keep the course cost low and you can then arrange accommodation to suit your budget. For a range of accommodation options visit this link. This course is suitable for people with no prior avalanche training. It will also serve as a refresher for those that have and build on existing knowledge. The course fee includes instruction and the use of any specialist equipment. You can read our “whats included” and kit list page here. 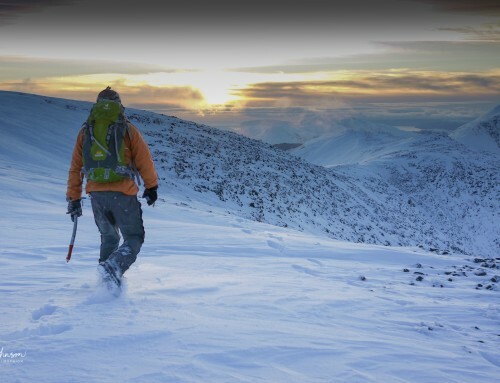 We have a limited range of ice axes and crampons which can be lent out on a first come first served basis. If you are looking to buy your own kit for the course then this article I have written may be of help. Once you book we will send you a comprehensive set of course notes and a letter of confirmation, this will include a detailed kit list and details of where and when we meet. The day normally starts at 8:30am in Fort William and finishes in the same place at about 5:00pm. 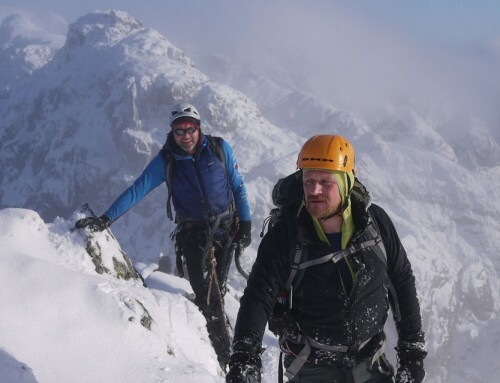 If you join the Mountain Training Association (assuming you are not already a member) you will get a 10% discount on this course, a subscription to the Professional Mountaineer and access to more great discounts and training opportunities. Read more here. Not sure if you are a member? Check here. Just a quick email. Did my Winter ML assessment and passed with flying colours, thanks to the structure you had given me regarding the avalanche knowledge and approach you had taught me. So I would like to thank you for your input. 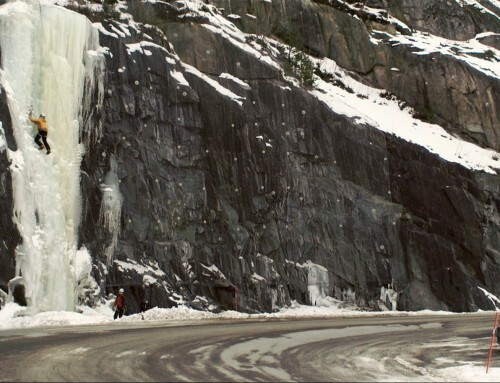 I hope Norway is giving you lots of ice to climb. May see you in Wales over Spring/Summer. If not see you around. Many thanks for the course last week. I have learnt a lot, and finally have some structure to a decision making process in avalanche terrain.